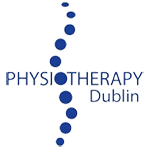 At Physiotherapy Dublin we understand the distress caused to athletes by absence from sport or activity due to injury. Sports people make huge demands of their bodies on a daily basis and require them to be in optimum condition to function at extremely high levels. Occasionally athletes’ bodies succumb to the daily demands of exercise, training and competing. At Laurel Lodge Physiotherapy we are committed to working with athletes in order to restore function, reduce pain and return you to your sport or activity as quickly as possible. 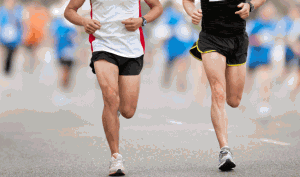 At Physiotherapy Dublin we seek to successfully rehabilitate each athlete individually. We have worked, whether in the field or in clinic with; rugby players, soccer players, footballers, hurlers, camogie players, runners, sailors, basketball players, cricketers, swimmers, tennis players, tri-athletes, kayakers, climbers, golfers, badminton players, and dancers. We recognise the unique demands of these sports and many others and are committed to successfully rehabilitating your sporting injuries. Whether your injury be a simple hamstring strain or a more complex biomechanical issue, at Laurel Lodge Physiotherapy we have the skills and experience to accurately assess, rehabilitate and get you back to your sport pain free and functioning optimally. Why not book an appointment at Laurel Lodge Physiotherapy and have your sports injury assessed today?